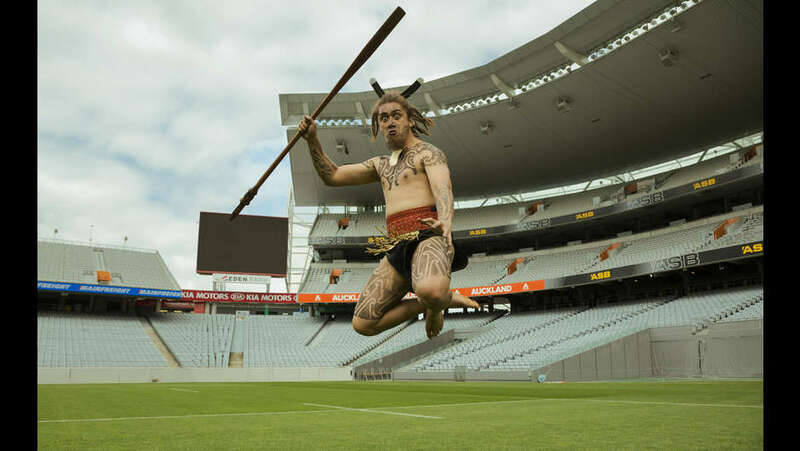 One of our mighty warriors jumping in the air at Eden Park. 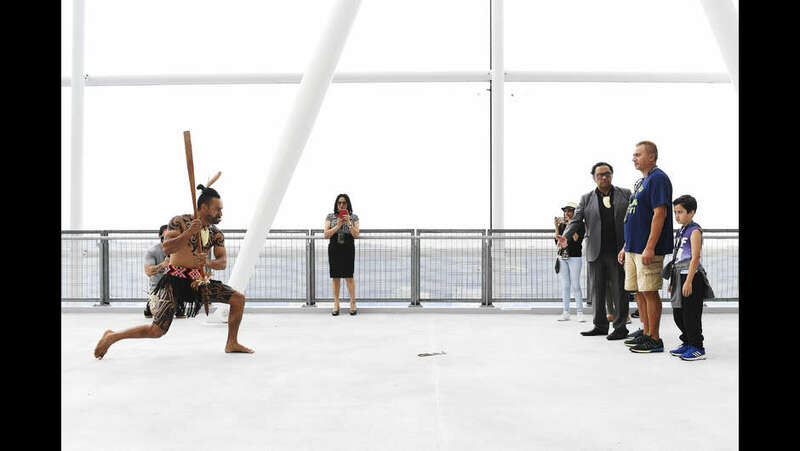 The Haka Experience and Eden Park are excited to launch “Haka on the Park“, a joint venture between Eden Park and Te Wehi Haka. 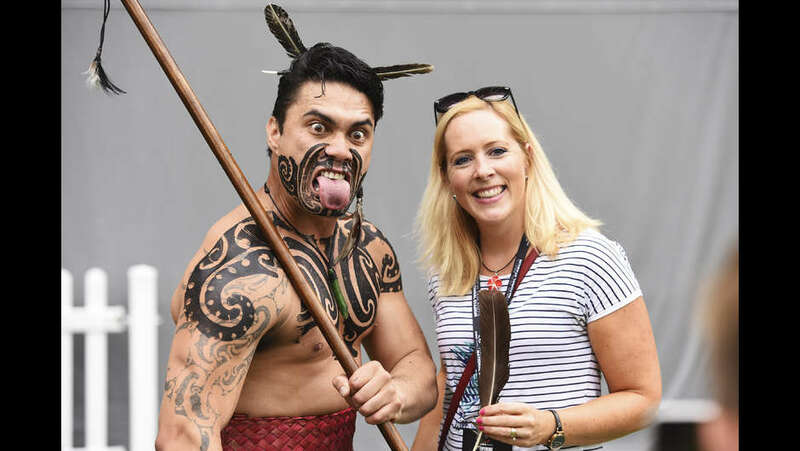 “Haka on the Park” is a new experience for people keen to learn the famous haka pre-match ritual and take a close-up look at New Zealand’s most popular sports ground. 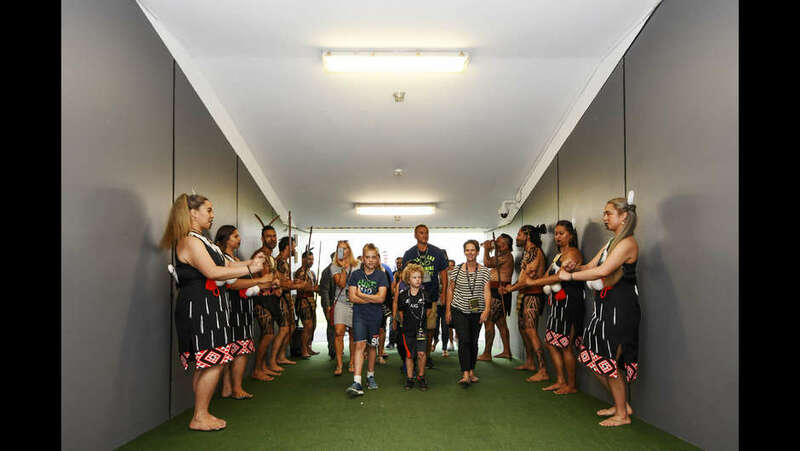 With a Māori warrior guide, visitors are given a behind-the-scenes tour of the iconic Eden Park stadium before stepping onto the hallowed turf to learn and perform their own haka. 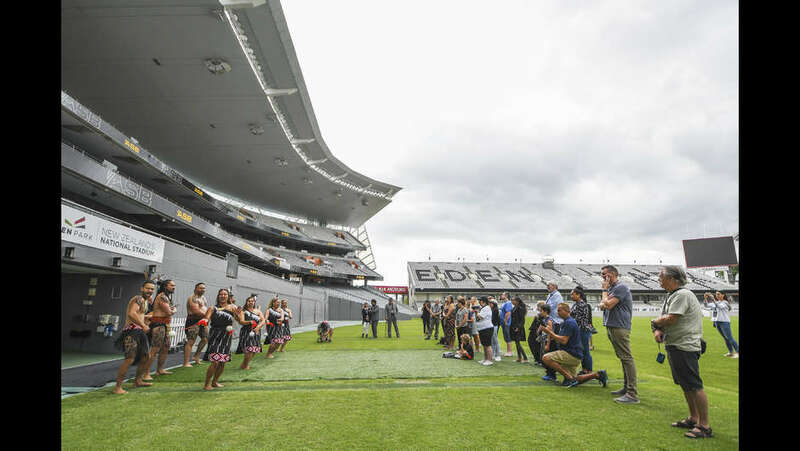 The thrill of walking in the footsteps of iconic sporting heroes and performing on the same field played by the mighty ALL BLACKS and BLACK CAPS has already captured the imagination of international visitors and proving to be a popular Auckland experience.